These quaint cabins are set up in the heart of the campground. They are located near the pool, playground, arcade, and office. The Appalachians have been updated with a beautiful log cabin exterior and a rustic wooden interior, providing the perfect balance between roughing it and the comforts and amenities of home. 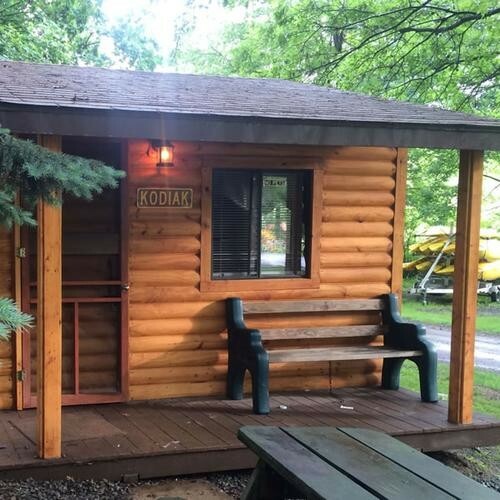 These cabins are the perfect choice for a family of four, a small group of friends, or a couple looking for a getaway. #’s 14 (Kodiak) & 15 (Koala) on map. Call for current rates and availability.